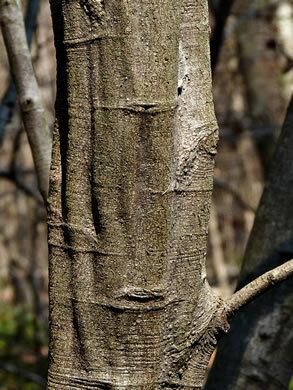 Bark frequently fluted and twisted, similar to that of Carpinus caroliniana, per Native Trees of the Southeast, An Identification Guide. 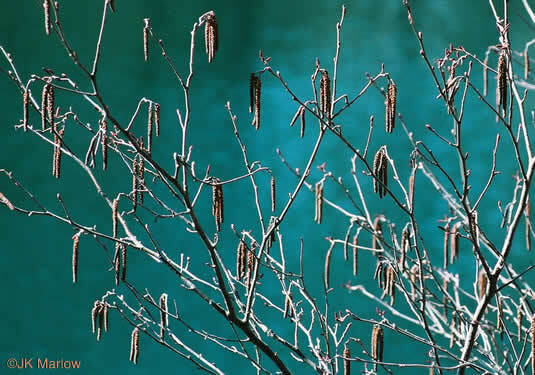 Male catkins longer than female catkins, pendent, each one stalked, per Woody Plants of the Blue Ridge. 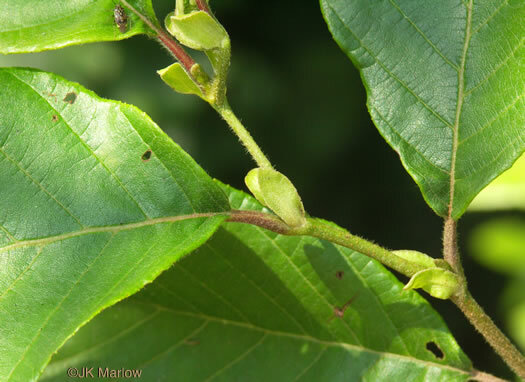 Fruit: Narrowly winged nutlets in persistent semi-woody conelike structures, per Native Trees of the Southeast, An Identification Guide. 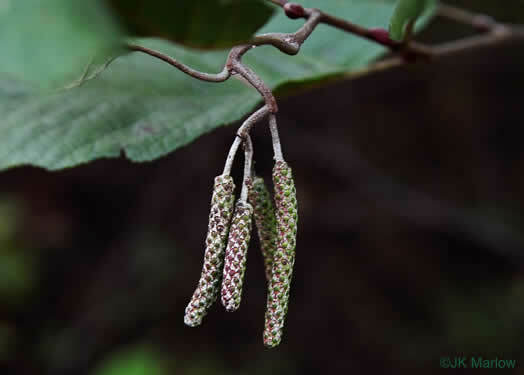 Persistent inflorescences and fruit cones make this not easily confused, per Native Trees of the Southeast, An Identification Guide. 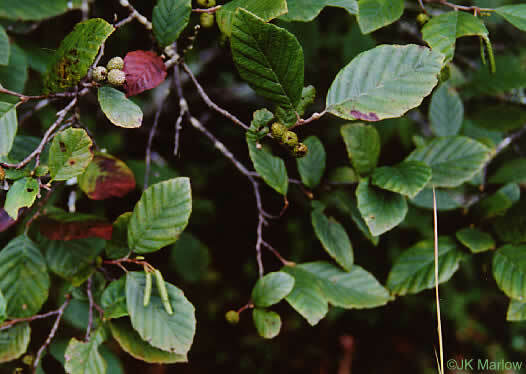 Principal leaves are broadest at or beyond the middle, per Trees of the Southeastern United States. 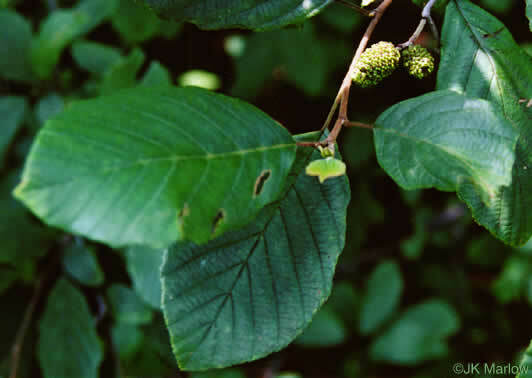 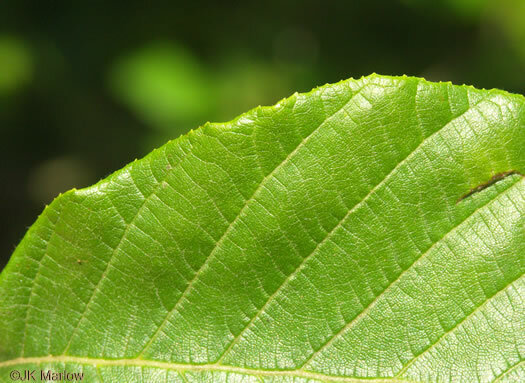 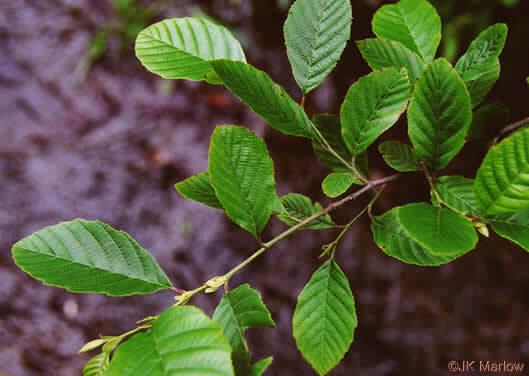 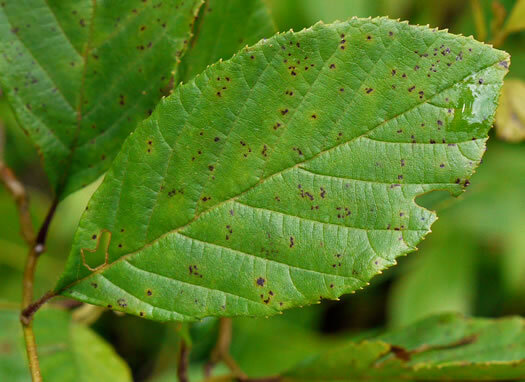 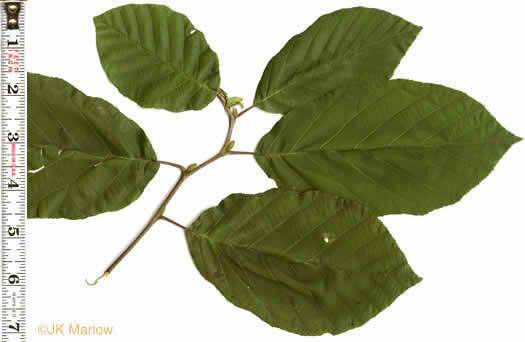 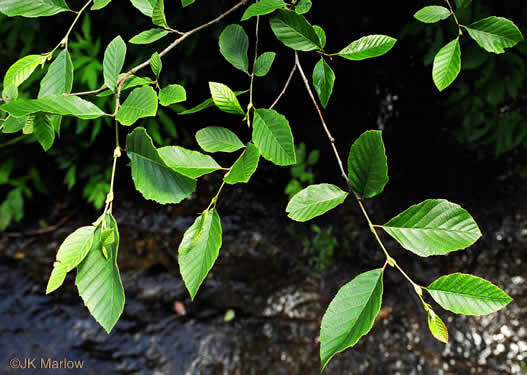 Leaves stipulate, per Vascular Flora of the Carolinas. 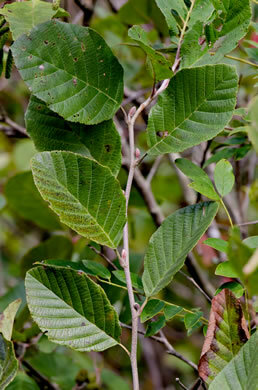 Leaf margins finely toothed and occasionally slightly wavy, per Native Trees of the Southeast, An Identification Guide. 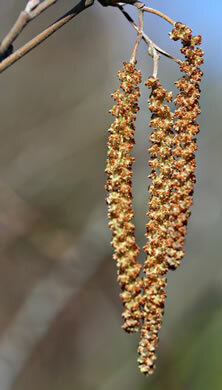 Pistillate flowers borne in erect, short, ovoid, cone-like spikes, per Native Trees of the Southeast, An Identification Guide. 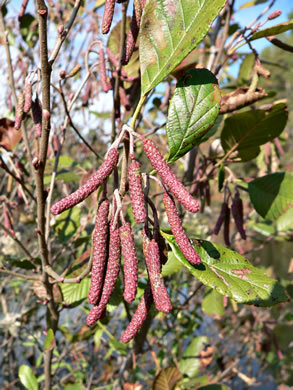 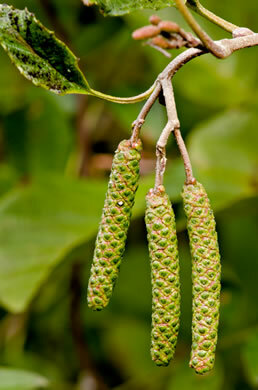 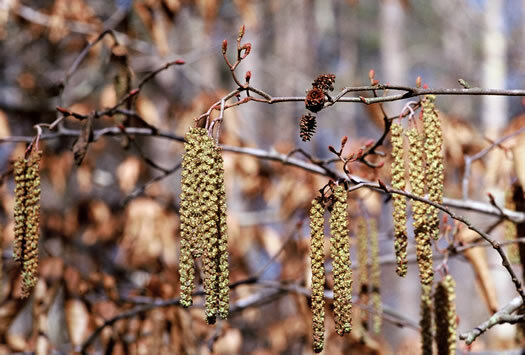 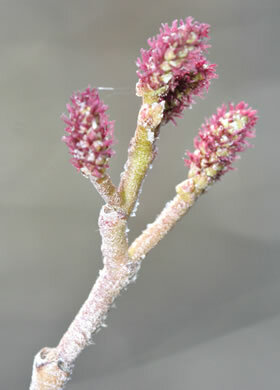 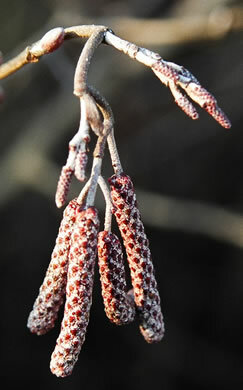 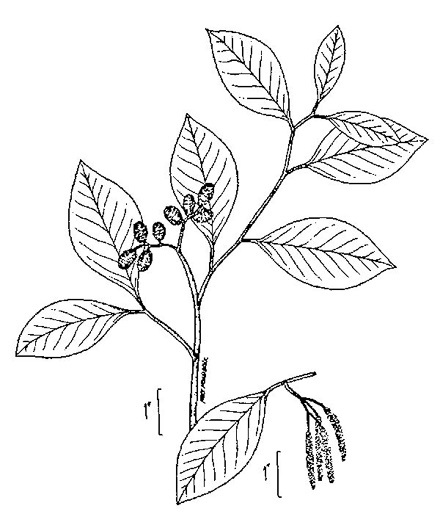 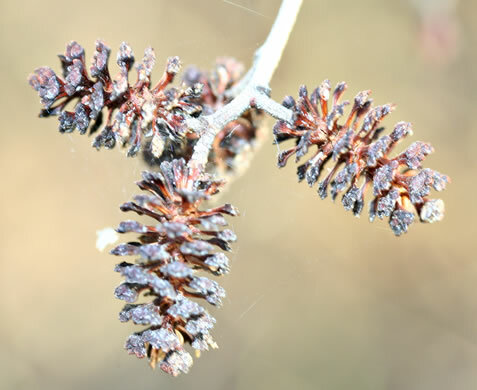 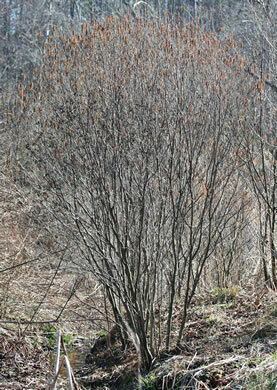 Male catkins are conspicuous in winter, and pendulous, per Trees of the Southeastern United States.